For most homeowners though it simply wouldn’t be practical. I have a backyard, but I don't have a huge patio space where I could actually roll this out. I could drag it onto my lawn space, but that sounds a bit weird. And I don't want the smoke stack running under my patio overhang! Also, I love wood fire pizza but I couldn’t imagine spending that much money on a wood fire oven – especially not when there are other alternatives that work almost as well. One such option is the Uuni. This is a really awesome product because it solves a lot of problems I found with each other oven on my list. Look how hot the Uuni is getting here! 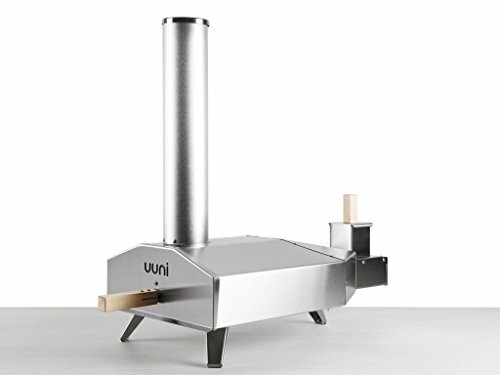 And you can watch the Uuni in action in the video below. The video is a little long (14 minutes), but you get to see the Uuni from unboxing to cooking pizza, and everything in between. ==> Get Your Uuni Here! A completely different style is traditional wood fire ovens that are also mobile. In many cases, this means that you have a wood fire oven that has been built onto a trailer. There are many different variations to this approach, ranging from the simple to the complex. The style is great if you truly want to take pizza making on the go – as long as your site is accessible by car. But again, this isn’t going to be the best option for most people. You could potentially leave it in a driveway if you have a large one, or pull it around back if you have an RV port. However, this type of product is typically designed for people wanting to start their own businesses and it simply isn’t practical in the home environment. After all, even the smallest designs are fairly bulky and they rely on being attached to your car. There is also the cost to consider. In many cases, this type of oven will be more expensive again, simply because of the extra components and considerations. This may mean you’re paying $1,000 for the oven and the price tag could be as high as $2,000 or $3,000. So, at the end of the day, this isn’t going to be a great solution for most homeowners unless you're way out in the country and have plans to take your pizza oven around to friends houses or local events. The simple truth is that any authentic wood fired oven is going to be expensive. This is even true if you choose a small one and there aren’t many of those out there. For that matter, the small ones that do exist are typically low quality and simply don’t perform well. This is the exact problem that I ran into as well. As much as I love wood fire pizza, I wasn’t willing to spend thousands of dollars on a decent oven. Honestly, I can’t think of many people that would be able to. The best answer that I’ve found is converting your barbecue. Most of us already have a decent barbecue, so this is a relatively inexpensive approach. Plus, most conversions won’t be permanent and you still get to use your barbecue normally as well. There are a few different methods for achieving this outcome and the best solution is going to depend on your own specific needs. Gas barbecues tend to be versatile overall, so it’s no surprise that there are various ways to create a pizza oven out of one. In fact, you can do so without any products at all, if you wanted to. For example, it is possible to simply make pizza on the grill directly or by putting a pizza stone directly onto the grill, although the results aren’t as good as with a pizza oven because it doesn't get much hotter than a conventional oven. Additionally, you can make your own pizza oven using a foil cover or even by building your own brick oven. One product that works well for this is the pizza oven box that BakerStone produces. The inside of the box is entirely made from pizza stone, so it’s easy to see how it will get hot enough to cook amazing pizza. The box itself just goes on top of your grill, making it easy to add and remove, as the need arises. Now, you don’t get the wood fired flavor with this type of approach. But, that isn’t the end of the world. Honestly, the main feature of wood fired cooking is the heat and you get that with this product. You could also potentially get an Amazen Smoker to create smoky wood flavor, but you wouldn't get the actual flame effect from burning wood chunks, which can definitely impact the flavor of the pizza. Another product that works well is the KettlePizza Gas Pro. This is my personal favorite and I love the simplicity. In this case, you’ve got a piece of stainless steel that acts as a cover over a pizza stone. By doing so, the product traps the heat, creating your own pizza oven. Using it is simplicity itself and the entire thing heats up much faster than the pizza box from above. For that matter, the KettlePizza option gets hotter as well. The style is also very easy to add and remove to your grill. That’s perfect if you don’t plan to cook pizza all of the time. 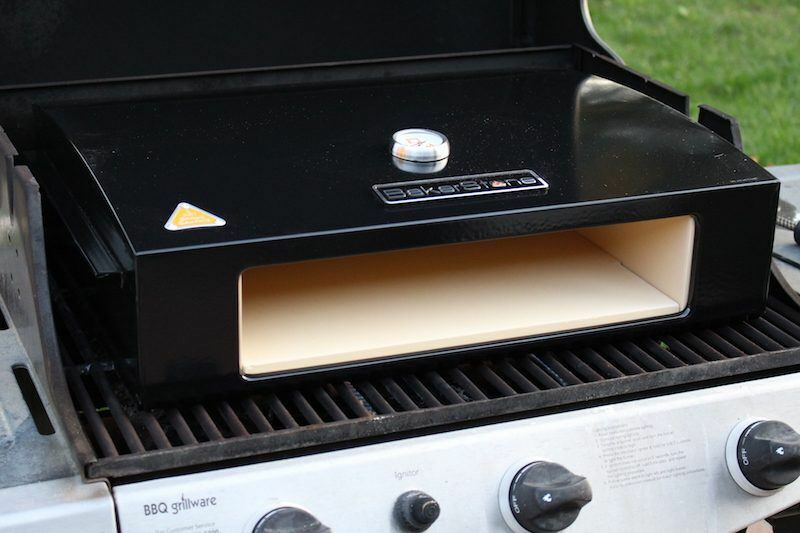 There are a few other ways to convert your gas grill that don't work as well, but could be fun to experiment with if you aren't ready to commit to a product like these. One issue to mention is that this type of conversion is only partly mobile. You can take the pizza oven part with you anywhere but the products are designed for 3-burner grills. And, most 3-burner grills aren’t especially portable. An exception to this rule is the brand Camp Chef, which produces an accessory designed to go with their portable grills. 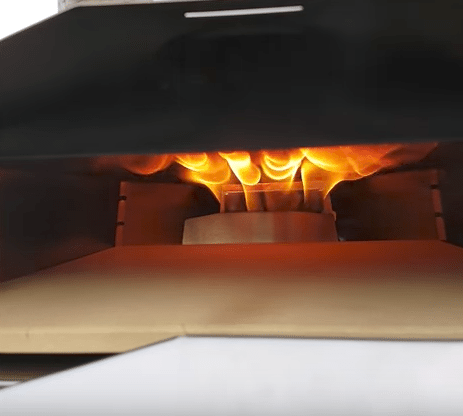 This functions in much the same way that the pizza box does, but is effective for a portable grill rather than a stationary one. Personally, I think that the previous two products are both better in terms of practicality and reliability. Plus, you still need the Camp Chef brand grill to go with the accessory. The other ones work on a much wider range of grills. As with the gas approach, a charcoal barbecue conversion focuses on increasing the temperature of your grill, so that it can function as a pizza oven. On its own, a charcoal grill will reach temperatures of somewhere from 300°F to 500°F, so a boost is certainly needed. You can get some increase in temperature by using wood as well as charcoal, although this won’t be enough on its own. Using wood also helps to impart additional flavor to your finished pizza, resembling what you would get with a wood fire oven. The taste won’t be quite the same as there is charcoal in the mix. Still, it’s very close and the best option in terms of the crossroads of ease, affordability, portability, and authenticity. 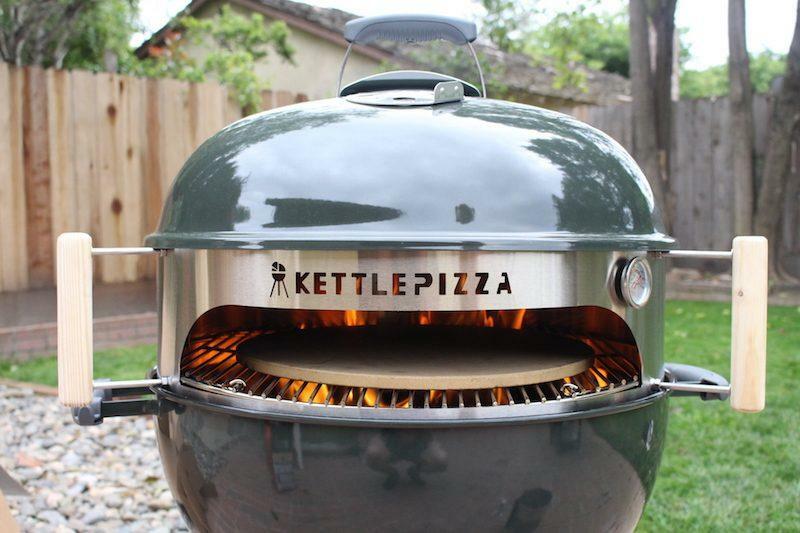 The best way that I’ve found to convert a charcoal barbecue is using the KettlePizza Weber Grill Insert. As the name suggests, the product is specifically designed for the size and shape of a Weber grill. It may work for some other types as well but I haven’t tried that personally. The basic idea is that the insert helps to trap heat and makes your grill functional as a pizza oven. The style works well and it is one that I highly recommend. 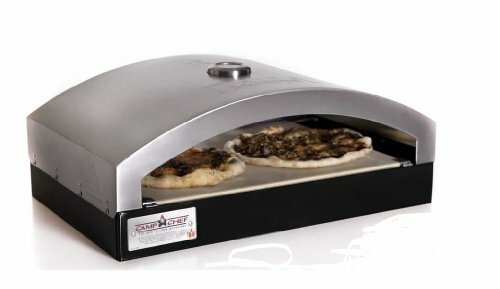 There are other products out there too, like the OnlyFire Pizza Oven Kit and the PizzaCraft PizzaQue Grill Kit. Both of these have the same general approaches, although their design is not as effective. To get the best outcomes, it’s worth investing in a box or bag of wood. There are plenty of types out there, with applewood, pecan, and maple all being viable choices. Make sure you pick chunks of wood, not wood chips or pellets. Chips and pellets simply don’t have the longevity and effectiveness that you need. Overall, this style does work well, regardless of the specific product that you choose. These conversion kits as well as the barbecues themselves are extremely portable and fairly inexpensive. There are still some limitations to consider. For one thing, most of these kits only work with specific charcoal grills. If you have the right grill, that’s no issue. But, if you don’t, you’re kind of stuck. Additionally, there is a learning curve with these products. It took me a couple of tries before I got things exactly right and I’m still learning how to produce the best possible pizza. But, you can learn from my mistakes. Besides, trial and error is part of the fun of any new cooking technique. For most homeowners, a barbecue conversion makes the most sense. Doing so is fast and easy, plus you’re not spending thousands of dollars on an oven just to make pizza. Of the two styles, the best for you is probably going to depend on what you already have at home, along with your preferences. For example, a charcoal grill conversion gives you a smokier flavor with your pizza and is also a more portable product. However, the approach can be trickier to use and is only suitable for a narrow range of grills. 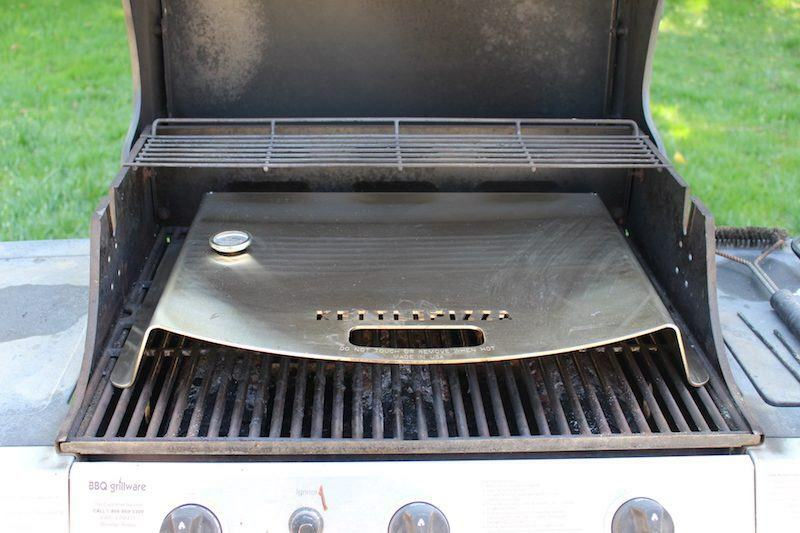 In contrast, a gas grill conversion is more versatile and is easier to set up. 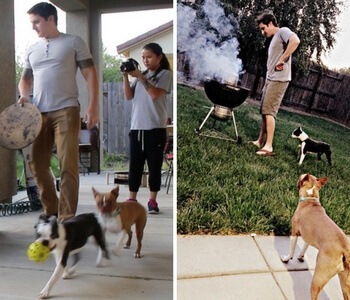 This makes it better in many situations, especially if you mostly plan to grill in your own backyard. But, you’re not using fire in the same way, so the end result is slightly different. My husband and I are looking for a pizza oven that’s not too big that we can’t move it if we need to. I like that you talked about how a benefit to wood-fired pizza is the smoky flavor. A wood pellet pizza oven might be perfect because it’s easy to move and the pellets will give the pizza the smoky flavor we want. Yes, I mentioned the Uuni 3 on this page as one of my favorites! It takes wood pellets.